The Six Suites for Unaccompanied Cello by Johann Sebastian Bach are some of the most performed and recognizable solo compositions ever written for cello. 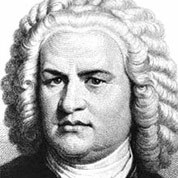 They were most likely composed during the period 1717–1723, when Bach served as a Kapellmeister (ChoirMaster) in Cöthen, Germany. The suites contain a great variety of technical devices, a wide emotional range, and some of Bach’s most compelling voice interactions and conversations. The suites have been transcribed for numerous instruments, including the violin, viola, double bass, viola da gamba, mandolin, piano, marimba, recorder, electric bass, french horn, saxophone, bass clarinet, bassoon, trumpet, trombone, euphonium, tuba, ukulele, electric bass guitar and finally the classical guitar. BWV1008 Minuet I contains demanding chord shiftings and string crossings. Not a lengthy minuet consisting of 2 parts- each repeated twice. In the key of A minor. 3/4 Time Signature. More demanding on the right (plucking) hand. The original suite was written for the Cello. In this tune, there are lots of elements typical of bach like trills and counterpoints.